Earlier this year, astronomers stumbled upon a fascinating finding: thousands of black holes likely exist near the center of our galaxy. 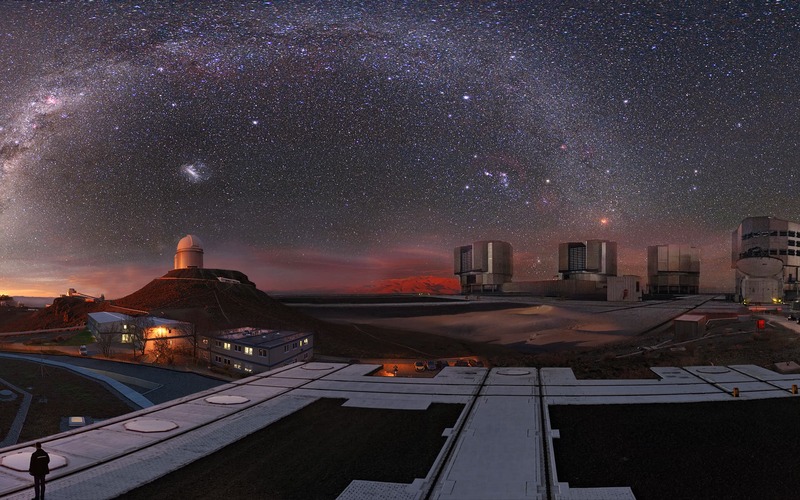 The X-ray images that enabled this discovery weren't from some state-of-the-art new telescope. Nor were they even recently taken – some of the data was collected nearly 20 years ago by NASA's Chandra X-Ray Observatory. The researchers discovered the black holes by digging through old, long-archived data. Astronomers have long looked for up to 20,000 black holes that previous research predicted should be concentrated around the Milky Way's core. Sagittarius A* is surrounded by a halo of gas and dust that provides the perfect breeding ground for massive stars, which can then give rise to black holes after they die, said Chuck Hailey, co-director of the astrophysics lab at Columbia University. In addition, the powerful gravitational pull of Sagittarius A* can pull in black holes from outside this halo, he added. 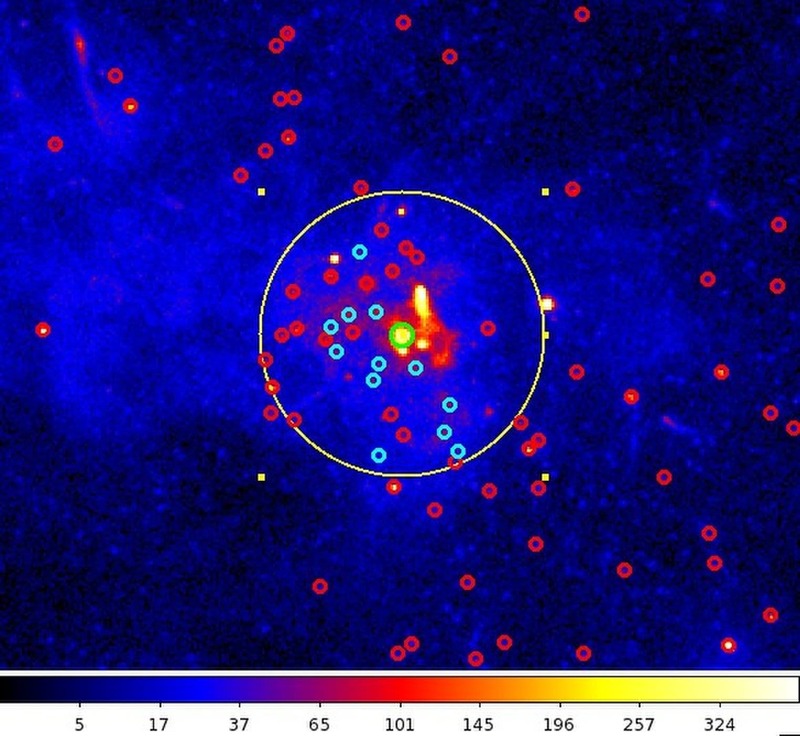 The image above provides a view of Sagittarius A*, the supermassive black hole at the center of the Milky Way, taken with the Chandra X-ray Observatory (circled in green). The black hole is visible as a bright spot because it is emitting some of its occasional X-ray flares. Surrounding it are other X-ray sources caused by binary systems with smaller black holes. (Nature and Hailey, et. al. In a similar discovery, the Galileo spacecraft may be dead, reports today's Science, but it still has stories to tell. 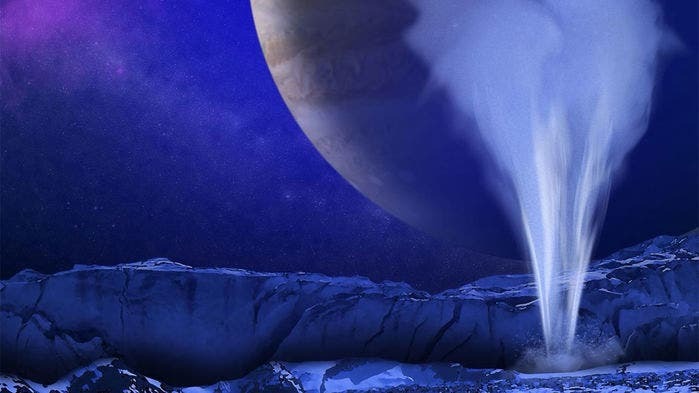 Fifteen years after the NASA probe burned up in Jupiter’s atmosphere, newly analyzed magnetic and plasma data from the mission have bolstered evidence that Europa, the planet’s ice-bound moon, is likely venting water into space. 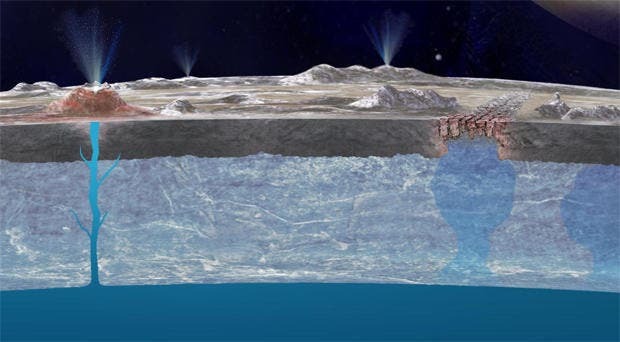 Researchers have long believed that Europa is home to a vast saltwater ocean, trapped beneath a thick crust of ice, making the moon potentially habitable for life and a focus of upcoming robotic exploration, continues Paul Vossen in Science. Over the past decade, scientists using the Hubble Space Telescope have made observations that seemed to support the notion that Jupiter is venting some of this water to space, much like Saturn’s moon Enceladus. But many other attempted observations have turned up dry. So scientists instead returned to Galileo, which on 16 December 1997 made its closest approach to Europa, flying only 400 kilometers above its surface. Over the course of 5 minutes, spikes the spacecraft recorded with its magnetic and plasma sensors reflected the alterations that a veil of ejected water, from one or many vents, could cause in a region matching the telescope observations, they report today in Nature Astronomy. This indicates that a region of the moon potentially 1000 kilometers long could host such activity, though it is impossible to say whether this is a single plume or many, like the complex system of fractures and vents seen on Enceladus. Indeed, on its own, this evidence was too weak to tie to erupting water in a 2001 study describing it, the authors add, but it fits well with the Hubble and modeled evidence.